Jigger, Stirrer (long Spoon), Highball Glass. In a Tall Martini Glass filled with ice, add all of the ingredients above, except for the Cherry. 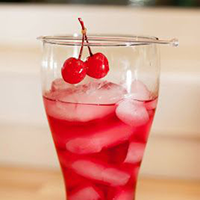 Stir them up well and garnish with a Cherry.